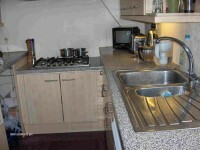 Jo, her husband and three teenagers were coping with a small cluttered kitchen. 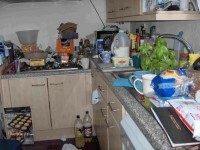 The cupboards were overflowing leaving no room on the work surfaces. Every cupboard was sorted and re-organised to make the best use of space. It took seven hours, but the result was worth it!